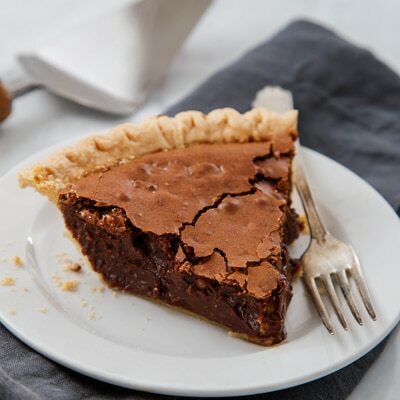 This moist, dense walnut fudge pie is a chocolate lover's dream. COMBINE morsels, evaporated milk and butter in small, heavy-duty saucepan. Cook over low heat, stirring occasionally, until chocolate is melted. Remove from heat; cool slightly. BEAT eggs, sugar, flour and vanilla extract in small mixer bowl until combined. Gradually beat in chocolate mixture. Stir in nuts. Pour into pie shell. BAKE in preheated 375° F. oven for 30 to 35 minutes or until set and top is firm (inside will be moist). Cool on wire rack.